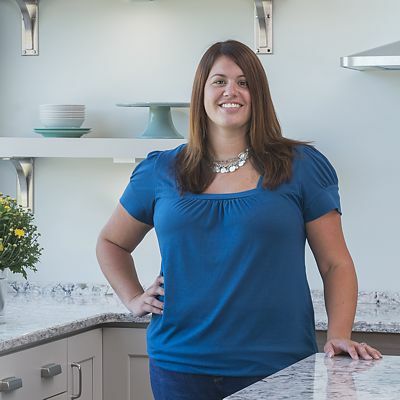 With 16 years of experience in the kitchen and bath industry, Danielle has worked on numerous subdivisions, residential and commercial developments and with various local contractors. Most of her referrals are through happy, satisfied homeowners. Danielle joined our Kitchen Views design team when Oxford Lumber became part of the National Lumber Family of Companies in February 2015. FAVORITE RESTAURANT: Ruth’s Chris Steak House FAVORITE THING TO COOK: I'm definitely more of a baker. I LOVE making and trying new desserts — and so do my 5-year-old twin boys. FAVORITE HOBBY: I like to play both volleyball and softball, recreationally. ADVICE TO HOMEOWNERS: Remodeling a kitchen doesn’t happen overnight. Proper planning takes time and will help you establish your priorities. WHERE TO SAVE THE MONEY: Appliances. You won’t be compromising a well-designed kitchen if you opt for mid-range brands offering the features you will use. WHERE TO SPEND THE MONEY: Cabinet door style. It’s the first thing you and your guests will see, so choose a door and finish that is going to make you happy for years to come.